The Resistance of Consciousness. Leiden: Brill, 2011. 266 pp. Viren Murthy’s book examines one of the most prominent scholars, thinkers, and revolutionaries in early twentieth-century China. By focusing on Zhang Taiyan’s intellectual life in the first decade of the twentieth century (especially his post-jail years), Murthy attempts to position Zhang as a “prophetic critic” of capitalism. In the author’s analysis, Zhang drew upon his classical learning, revolutionary thinking, reading of German thinkers, and, most important, interpretation of Yogācārā Buddhism as he asserted the need to resist capitalism and envisioned for both China and humankind the possibility of a future not confined to the capitalist path. In Chapter 1, the introduction, Murthy frames his research on Zhang Taiyan with a conceptual mode that presumes interpenetration, rather than opposition, between tradition and modernity. This mode is informed by Joseph Levenson’s critics, who rejected the Mozartian historian’s view on the silence of traditional voices during China’s modern transformation. In addition, Murthy buttresses his approach by including current scholarship on China’s dynamic indigenous changes and the reinvention of traditions in response to modernity. In examining late Qing responses to capitalist modernity, Murthy chooses to view capitalism as a cultural dynamic that introduced to Asia its own logic of cultural and political forms, including the division of subject and object; the celebration of progress defined in terms of productivity, rationality, and science; and an intricate relationship between nation-state, capital and imperialism (28-30). 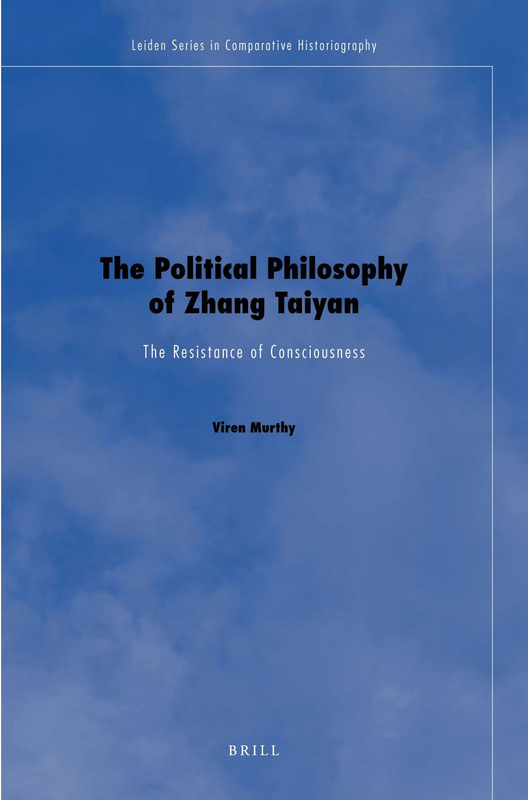 Within this conceptualization of capitalism, Murthy analyzes Zhang’s resistance to modernity as an engagement with capitalism as a “civilizing influence.” Resistance, from this perspective, could be conformist in nature; Murthy reminds his readers that some historical players organized resistance that, at closer glance, would turn out to be acquiescence or even capitulation because they gave up their own legacy and reproduced the paradigms of the oppressors. Murthy suggests, for instance, that Meiji Japan’s successful modernity project was largely the result of a failure to uphold their premodern mode of life as a mode of resistance. In China’s case, tradition-inspired resistance to modernity was neither traditionalist nor conservative, as Chinese thinkers always sided with modernity to critique global capitalist modernity. As he makes these points in his introduction, and throughout the book, Murthy interweaves Western and Japanese historical scholarship on Zhang Taiyan, China, and Asian modernities as well as critical social theory, borrowing insights from scholars and thinkers ranging from Chang Hao, Alex Schneider, and Mizoguchi Yūzō, to Wang Hui, Georg Lukás, and David Harvey. Chapter 2 examines Zhang Taiyan’s intellectual transition, tracing how he evolved from a thinker who identified with the discourses of evolution and civilization to one who embraced the concept of culture. Murthy situates this transition in the contestation between late Qing reformism and anti-Manchuism, a part of the larger historical context in which Chinese thinkers reshaped their culture and identity to confront global capitalist modernity. Kang Youwei, a strong proponent of dynastic reform, appropriated New Text Confucianism to construct a Chinese identity that annulled racial differences and promoted unity based on a shared culture, therefore granting support to a multiracial empire. Zhang Taiyan, by contrast, abandoned reformism and then managed to build his own version of anti-Manchu nationalism in the earliest years of the twentieth century by excluding the Manchus from the family of civilized races to which the Han Chinese belonged and by making use of Lacouperie’s theory of the classical Chinese and Babylonian traditions to promote a view of the shared origins of the Han people and the white race. However, after assuming the editorship of Minbao, Zhang again reshaped his revolutionary theory into a kind of “conservative radicalism” that integrated anti-Manchuism into anti-imperialism. Through his advocacy of national essence, he launched a political project aimed at restoration, speaking against conformity to (Western) civilization, which in his view was associated with imperialism. Chapter 3 explores Zhang Taiyan’s use of Yogācārā Buddhism to make sense of German idealism. According to Murthy, Zhang dealt with the issue of the subject as he pondered options for the national political future of China. Moreover, he lived in a time when no social class could stay above the negative impact of capitalism. Murthy focuses on one extremely important aspect of that impact—subject-object division. He explores how the split between subject and object surfaced from various conditions associated with capitalist modernity. These conditions included the advent of science, the rise of the belief in “universal” principles and laws, and nation building in the capitalist-imperialist world order. The latter created the political identity of the subject as determined by the other, thus crucially transforming the subject into an object. In Murthy’s analysis, Zhang used the Yogācārā theories of “three natures” and “eight consciousnesses” to build a unified subject-object. [ 1 ] Although his reflections on subject-object relationships were highly philosophical, Zhang intended to use the Yogācārān all-encompassing theory of self to engage with politics. According to Murthy, by combining the Buddhist concept of ultimate truth (一法界) and that of delusion (迷), Zhang Taiyan forged a “provisional subject” to bring about political transformation in the deluded temporal world. An important part of this transformative process was national liberation, which, Murthy points out, did not turn Zhang into another Liang Qichao, who was committed to collectivity and aspired to a subject in the form of a national self-identity. Chapter 4 continues the exploration of Zhang Taiyan’s engagement with global capitalist modernity. Murthy focuses on the ways in which Zhang mobilized Yogācārā Buddhism to critique the linear, evolutionary model of historical progress. Zhang believed that time consciousness arose and historical conditions emerged when self-consciousness—resulting from the influence of the ālaya consciousness, manas consciousness, and karma seeds (bija)—encountered the world. By arguing that divergent cultures existed in different temporal spaces, he opposed the hierarchical ordering of various moments in time. In addition, by perceiving history as a process impelled by the will to win, by self-attachment, and, last but not least, by ignorance, Zhang refused to see history as linear progress. What was conventionally perceived as progress was, in his view, the result of blind and destructive impulses. For this reason, Murthy points out, Zhang cherished “self-negation and the end of history as the negation of history” (165). In chapter 5, the author deepens his analysis by dissecting Zhang’s reflections on the notion of universal principle. This notion was popular among reformers, who strove to design institutions and promote an ideology in support of a regime of rationality. It was also popular among anarchists, who identified their ideology, in Zhang Taiyan’s words, as “the pinnacle of freedom and equality” (200). Zhang cautioned both reformers and anarchists about the oppressive nature of the universal principle as a measure of control over humans. For him, universal principle was the fruit of the movement of karma seeds, but not an authoritative guiding force that commanded the individual’s obedience. Zhang was therefore critical of any project designed to suppress human nature and mold human behavior in terms of “progress.” In addition, in “A Discussion on the Equalization of Things,” he offered a very radical Buddhist-Daoist rendition of the famous chapter of Zhuangzi, introducing what he called “absolute equality” (一往平等 and 毕竟平等), which was based on detachment from words, speech, and (deluded) minds—hence, detachment from judgment, distinctions between things, and the opposition between universality and particularity. Armed with his Buddhist-inspired critique of universal principle, Zhang challenged the perceived distinction between barbarism and civilization, thereby confronting the homogenizing tendency of capitalist modernity and arguing for a world that embraced particularities and differences. In his conclusion, Murthy reflects on the historical and contemporary significance of Zhang Taiyan. He draws attention to Lu Xun, perhaps the most prominent among Zhang Taiyan’s students. Though concerned about capitalist modernity, Lu Xun, unlike his famous teacher, did not conceive of capitalism as an all-encompassing force that shaped the economy, politics, and culture. Nor did he critique capitalism from a philosophical-Buddhist position. But like Zhang, Lu Xun was eager to develop a critical stance on the present and willing to incorporate into it that practices of the common people, popular religious ceremonies, and even ghosts—things Zhang did not appreciate. For Wang Hui, as Murthy notes, Lu Xun’s ghost is the history of the dead: it is a past connected to the experience of ordinary folks whose subjectivity was not necessarily destined to be remolded in the form a modern capitalist self; a past that potentially could serve as the foundation for resistance to capitalism; a past that allows us to conceive the possibility of a world different from the present. Viren Murthy’s book is a sophisticated piece of intellectual history that dissects the early formation of Chinese critiques of capitalism in the global context. This topic is both timely and important. The book represents a serious effort to analyze the integration of Buddhism into the history of modern Chinese thought and philosophy. That said, a few aspects of the book merit some additional critical commentary. First, Murthy expresses a keen interest not only in the late-nineteenth and early-twentieth century global context, but in our contemporary early-twenty-first century moment as well, via the analysis of a remarkable Buddhist-inspired Chinese thinker’s resistance to capitalism. The discussion of the relevance of Zhang Taiyan to our time would have been enriched if the author had moved beyond China and considered how Zhang Taiyan’s theories might fit into the current state of worldwide Buddhist resistance to contemporary global capitalism. Zhang’s Buddhist-infused critique of capitalist modernity could provide fertile ground for comparisons with contemporary Buddhist critics of globalization and capitalism, such as Sulak Sivaraksa and David Loy. Second, while Murthy analyzes a number of late Qing thinkers and compares them to Zhang Taiyan in capturing the uniqueness of the latter, his analysis could benefit from a more nuanced and careful reading of modern Chinese thought. For instance, according to Murthy, Tan Sitong “claimed that the goal of history was embodied in [capitalist] ideas of time-saving and mechanization,” ideas which he traced to the Three Dynasties. By using this particular combination of premodern Chinese texts and modern, evolutionary and capitalist notions concerning temporality, Murthy argues, Tan created a vision of progress for the Qing state (146). I am not convinced. I believe that Tan’s view of history, progress, and capitalist modernity is arguably more complex than it appears in Murthy’s characterization. True, Tan wanted the Chinese to use machines and adopt (or re-adopt) the time-oriented notion of work—what he considered progress—to rid themselves and the empire of poverty. But by no means did he endorse capitalist modernity as the ultimate path that the Chinese and humankind should tread (see especially the last ten chapters of Renxue). While it is certain that Tan did not write a totalizing critique of evolution and capitalism, the milieu that bred Zhang’s writings was a lot more complex than the picture painted by Murthy. Third, it would have been worthwhile for the author to further consider Zhang’s historical aspirations and intentions for the future of the human race in critiquing “evolution” and advancing his theory of the “five negations.” Is it possible that when Zhang imagined the world journeying through the stages of no government, no groups, no human race, no sentient beings, and no world, he was proposing his own theory of evolution? Murthy does not think so; indeed, this question—which I believe is central to his study—is glossed over in a footnote in which Murthy claims that the historically specific concept of evolution of the late nineteenth and early twentieth centuries involved necessity and forces that move history to travel in a particular dimension. He then states that five negations “cannot be understood as evolution in the common sense of the word and definitely not in the ways that Zhang and his contemporaries understood evolution” (164). Five negations, in other words, can only be a teleological goal. However, Murthy seems to miss the point that karma, which he says was appropriated by Zhang to explain the problems of evolution in his own time, is in Zhang’s formulations a complex force containing innumerable seeds. Karma not only produces the will to win but also generates the quest for enlightenment (this Murthy seems to recognize). In this sense, the journey to no-world (无世界) is also pushed by (karmic) forces. Perhaps, more important, understanding—or to some extent being influenced by—the prevalent concept of evolution is not the same as identifying totally with the concept. Therefore, it is not clear to me why Zhang, who rejected so strongly the historically-defined notion of evolution in his own time, could not envision, consciously or inadvertently, a different form of evolution or progress, one that was dissociated from the qualities and hegemonic tendencies marking capitalist modernity. Zhang’s critique of capitalism aimed to make the world a better place; the theory of five negations was about the improvement—or evolution, in the generic sense of the word—of the world. The imagining of “no-world” or nonexistence based on sentient beings’ spiritual progress is, in fact, present in Buddhist thinking. A good example—and one that should be relevant to Murthy’s focus on Zhang’s use of Yogācārā Buddhism—is Vasubandu’s Abhidharmakosa (Treasure of knowledge), in which the world is perceived as the product of karma. What does non-existence really mean in Mahayana Buddhism and especially Yogācārā Buddhism? How and how much did Zhang make use of Buddhist views of nonexistence? How did he define nonexistence in his own writings? Is self-negation merely in the service of what Murthy calls the end of history? I wish the author had dwelt more on such questions—Zhang Taiyan, Buddhism, and the global project of resisting global capitalism are certainly worth the effort. That said, I look forward to further intellectual stimulation, dialogue, and debate with Murthy’s future writings on these issues. *I would like to thank James Blumenthal, my colleague at Oregon State Univerity, for sharing his enlightening knowledge of Buddhist philosophy. Tan Sitong 譚嗣同. Renxue 仁學 (On benevolence). Ed Ying Yongqing 印永清. Zhengzhou: Zhengzhou guji, 1998. [ 1 ] Yogācārā “three natures” theory refers to the “self-nature of erroneous discrimination,” the “other-dependent self-nature,” and the “self-nature of complete truth” (Murthy 2011: 113). The eight consciousnesses are eye-consciousness, ear-consciousness, nose-consciousness, tongue-consciousness, body consciousness, mind consciousness, the defiled mind consciousness (manas consciousness), and storehouse consciousness (ālaya consciousnsess).